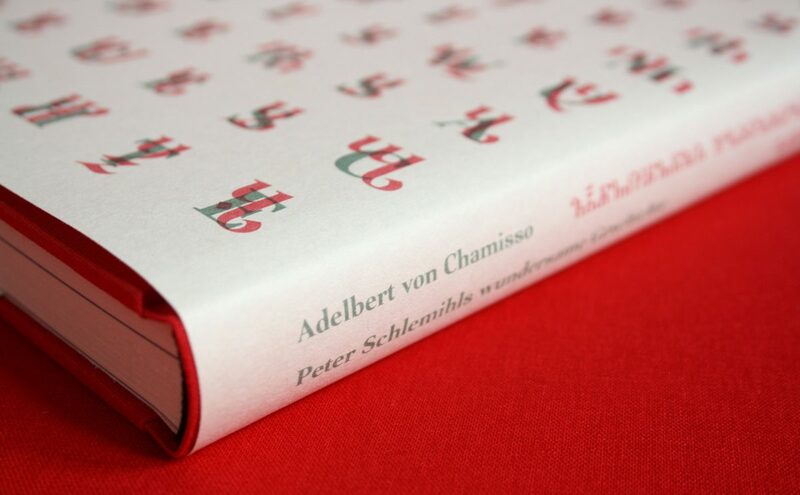 The typographic, in parts cryptographic interpretation of the story „Peter Schlemihls wundersame Geschichte“ by Adelbert von Chamisso, points to the central element of the narration, the shadow. Peter Schlemihl sells his to the devil, an elegant grey gentleman, but he must soon learn that society would not accept him without it. Two typefaces form the center and starting point of this book design. One is cryptic, designed after a historical source from the 16th century, the other is a matching latin alphabet that was designed on the base of the secret script. It is the aspect of being alien and familiar at the same time that makes these alphabets so intriguing. Forms of our latin alphabet mix up with the uncommon, just as in Chamisso’s magical story, where the fantastic merges with the mundane.